Ken Page. Photo by Diane Anderson. At the 2019 St. Louis Arts Awards, we’ll celebrate seven honorees, including Lifetime Achievement in the Arts honoree Ken Page, who encourage our kids to be more creative thinkers, build bridges among cultures, energize our communities, foster our economy and enrich lives. Page has performed in countless roles on screen and stage over the past 45 years, but it all started in St. Louis. He was introduced to the arts at a young age by his music-loving mother and teachers at the historic school St. Nicholas near downtown St. Louis. By the time he got to Bishop DuBourg High School, Page was writing his own stage versions of “Thoroughly Modern Millie” and “Mary Poppins” for his peers. Page immersed himself in his study of theatre at Fontbonne College (now Fontbonne University) and landed his first role at The Muny in “South Pacific”in 1973. Soon after, he took a leap of faith encouraged by his Fontbonne professors and moved to New York. In New York, Page quickly landed a job with Fanfare Theatre Ensemble, a children’s theatre run by actors Joan Shepard and Evan Thompson. Within three years, he made his Broadway debut in “Guys and Dolls” as Nicely-Nicely Johnson in the all-black revival, for which he received the Theatre World Award. Page’s other Broadway and New York credits include: Tony Award-winning musicals “Cats” (starring in the original Broadway & Film Casts as Old Deuteronomy; GRAMMY Award for Best Cast Album), “Ain’t Misbehavin’” (original Broadway, L.A, Paris casts; Emmy Award-winning NBC TV special; Drama Desk Award for Best Actor, GRAMMY Award for Best Cast Album), “The Wiz” as the Lion and “The Wizard of Oz” as the Cowardly Lion. In London’s West End, Page starred in “Children of Eden” as Father. His film credits include “Dream Girls” as Max Washington, “Torch Song Trilogy” as Murray and “All Dogs Go To Heaven” as the voice of King Gator. Page’s television appearances are numerous. He is perhaps best known as the voice of Mr. Oogie Boogie in Tim Burton’s cult classic film, “The Nightmare Before Christmas”. Since 1997, he has supplied his vocals for all the subsequent products and at all the Disney Parks. For the past two years, he has performed in two sold-out engagements of the score sung live at The Hollywood Bowl with the Los Angeles Philharmonic. Needless to say, Page’s career has been a storied one. But, he’s never forgotten where he came from and who supported him along the way. 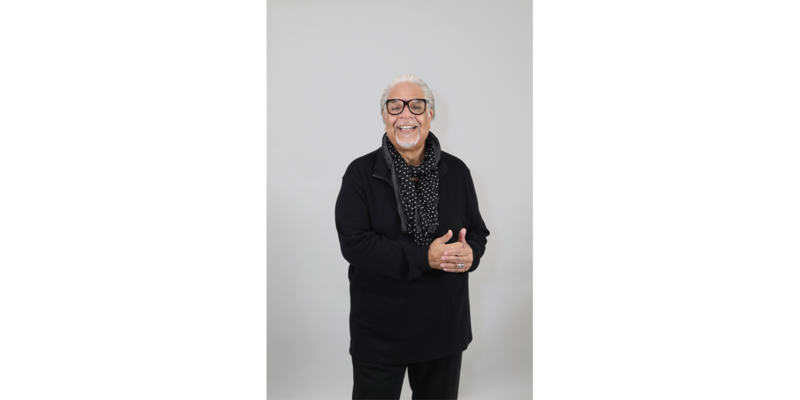 He has returned to The Muny stage almost every year since 1994 and maintains strong connections with his St. Louis roots. “As people go along, you should always remember who believed in you first,” Page shared. He now actively seeks out opportunities to pass along the lessons he has learned from mentors like Sammy Davis, Jr., Lena Horne and Cab Calloway. Some of those lessons appear in his concert “Page by Page”. In recent years, he has also spent more time in St. Louis writing and directing, including a production of “Carousel” with Union Avenue Opera and productions of “Café Chanson” and “Sublime Intimacy” that received six St. Louis Theatre Circle Award nominations, including Best New Play and Best Director. In April 2018, he made his debut with Jazz St. Louis (an A&E grantee). The Lifetime Achievement in the Arts Award is sponsored by Mary Strauss. Tickets for the 2019 St. Louis Arts Awards start at $300 and are on through Saturday, January 19 at 6:00 p.m. Learn more about the event here.